Eurodollar has tested the group of local fibo-levels near retracements 61.8% and decided not to continue this correction. 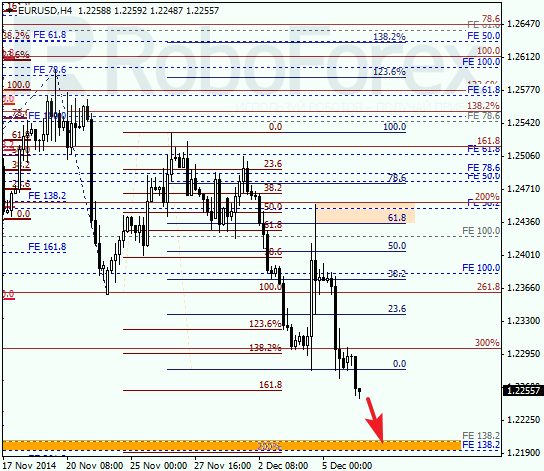 In the nearest future, the price is expected to continue falling towards the lower targets defined earlier. 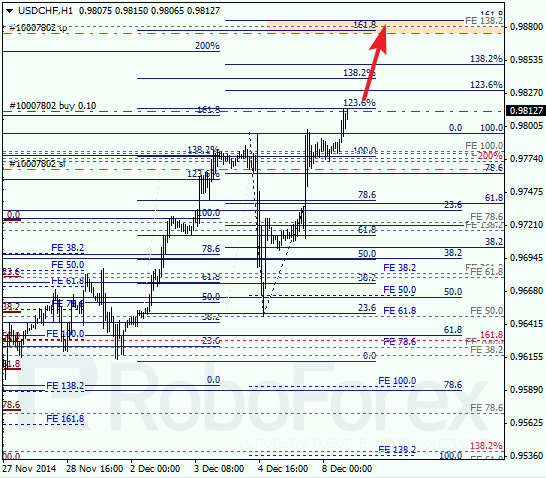 At the H1 chart, predicted targets are confirmed by several local retracements. Possibly, later the pair may rebound from them and start a more serious correction. So far, I’m staying out of the market. During the market opening, Franc has reached a new high. 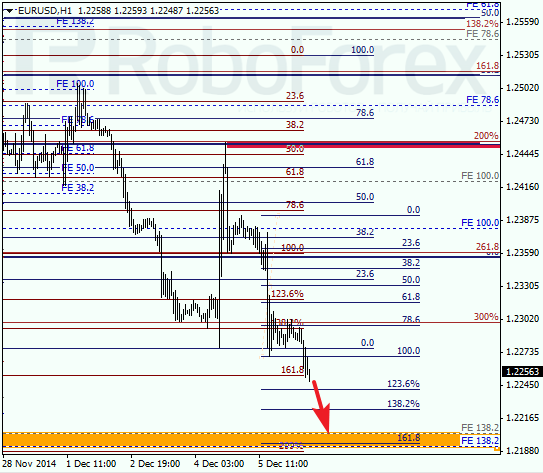 The closest target is the group of upper fibo‑levels near 0.9880. If the price moves upwards a little bit more, I’ll move the stop loss on my current buy order to breakeven. 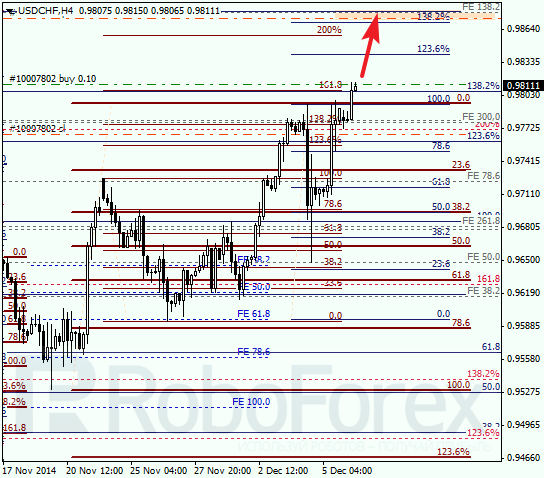 As we can see at the H1 chart, inside the target area there are several local retracements in addition to the major ones, which make this area even more important. Also, we should note that if the market breaks this area, the pair may continue growing. In this case, I’m planning to start buying again during the correction, which may follow.